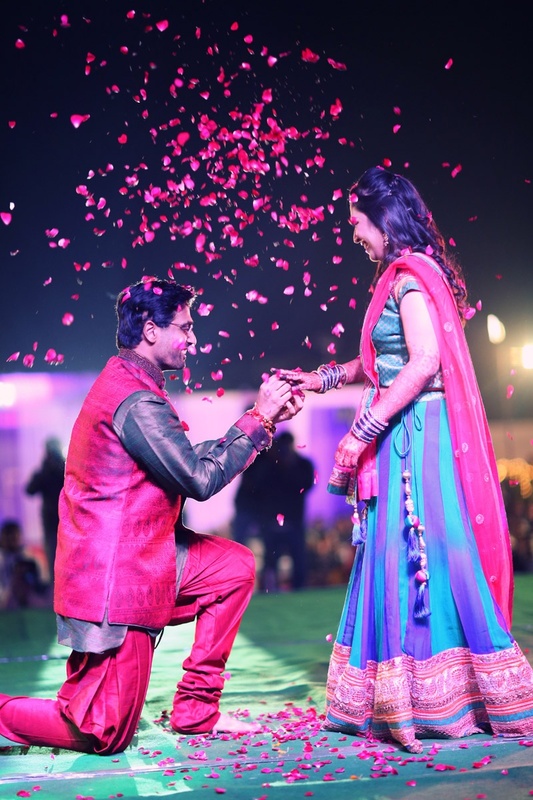 With rose petals showered all over them, Aditya went down on one knee, and put a ring on Maitree in an open-air engagement ceremony. 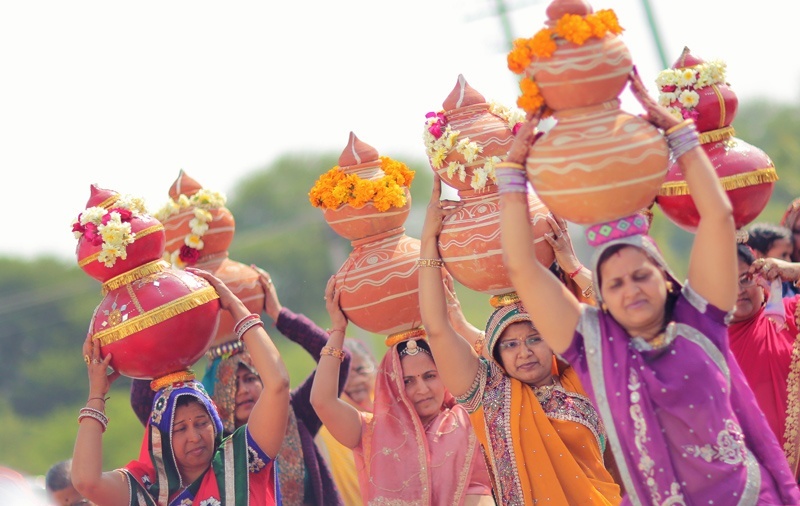 This was then followed by a traditional wedding and a celebratory Varmala ceremony. 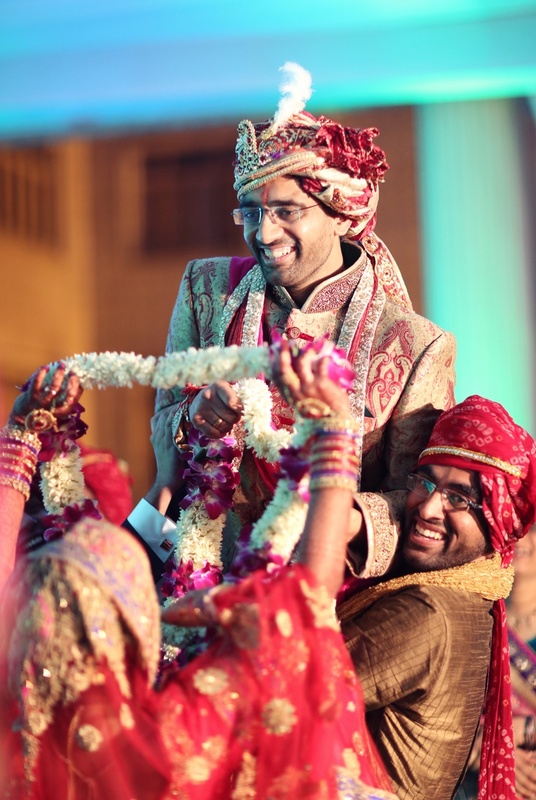 The wedding celebrations began with the Haldi function where the groom was dressed in a plain white kurta-pyajama. 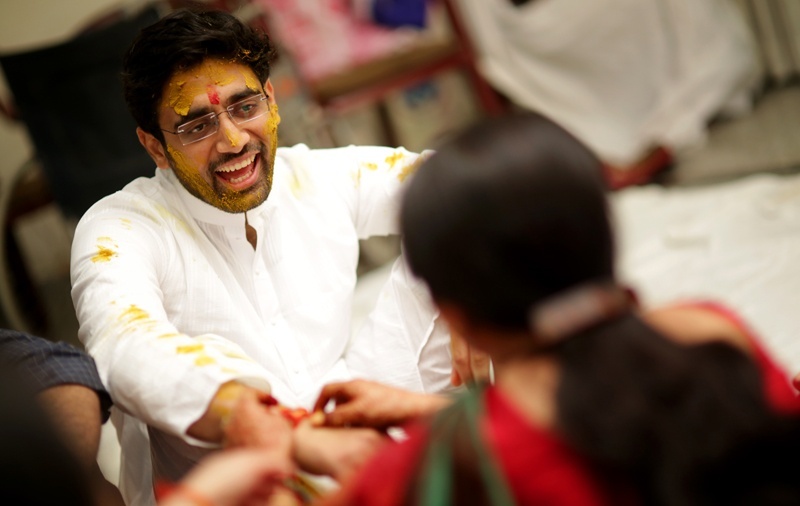 Dabs of haldi were applied all over him. 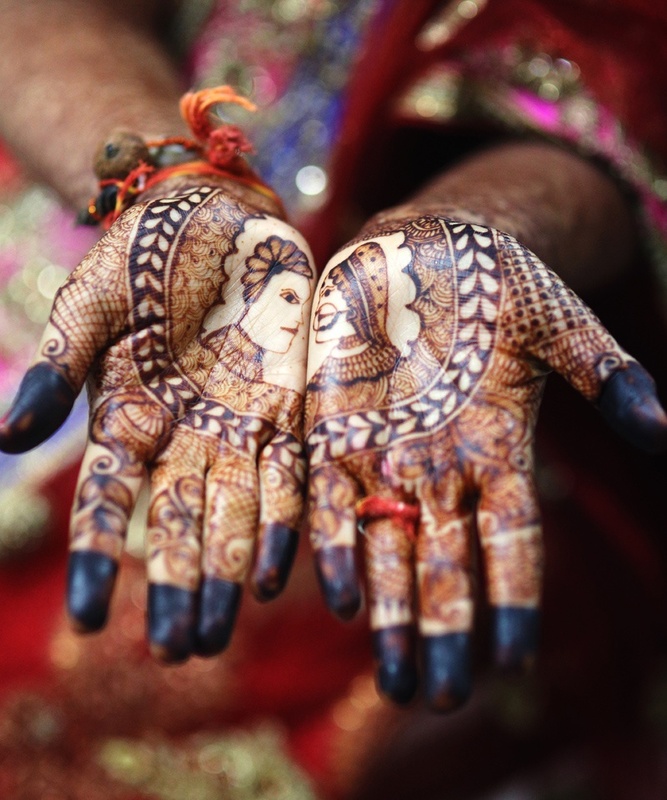 The bride’s intricately designed mehendi had the semblance of a king and queen. 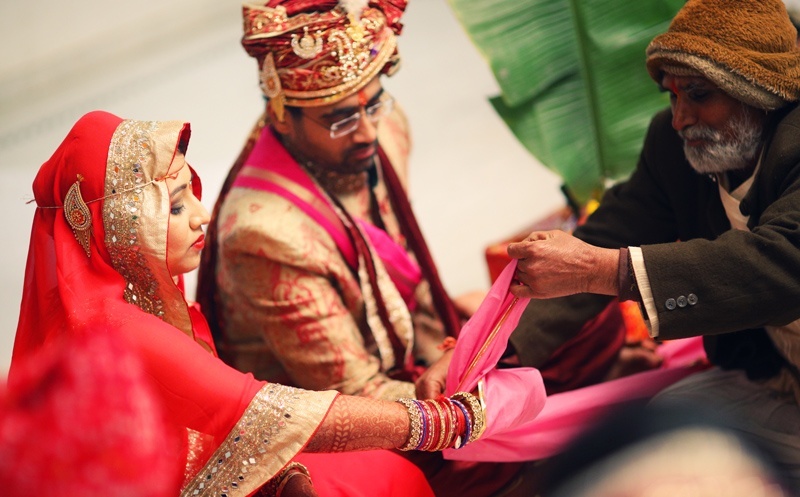 Her mehendi brought out a deep colour signifying Aditya’s deep love for her. 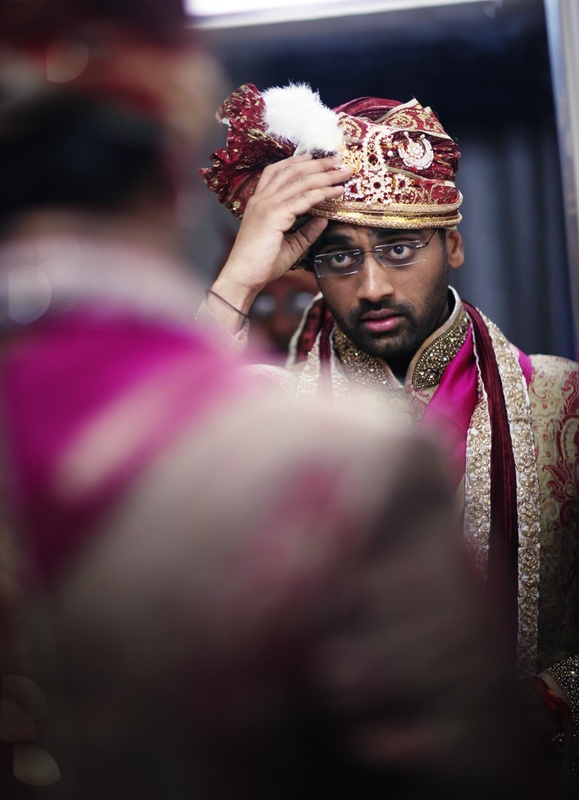 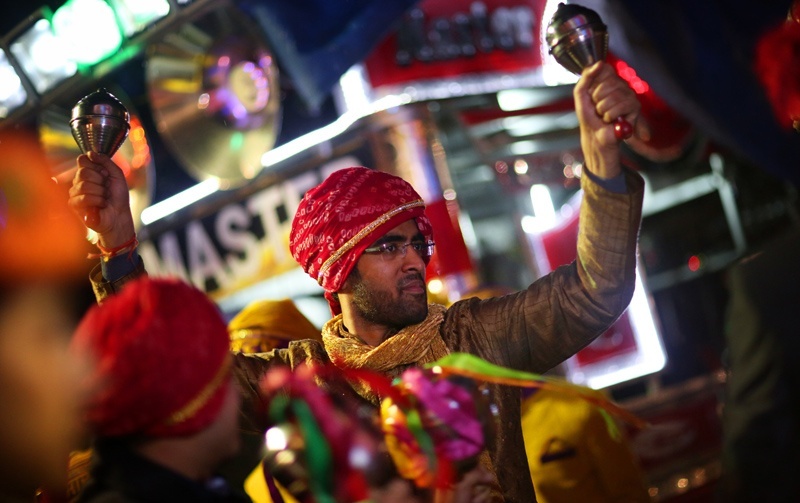 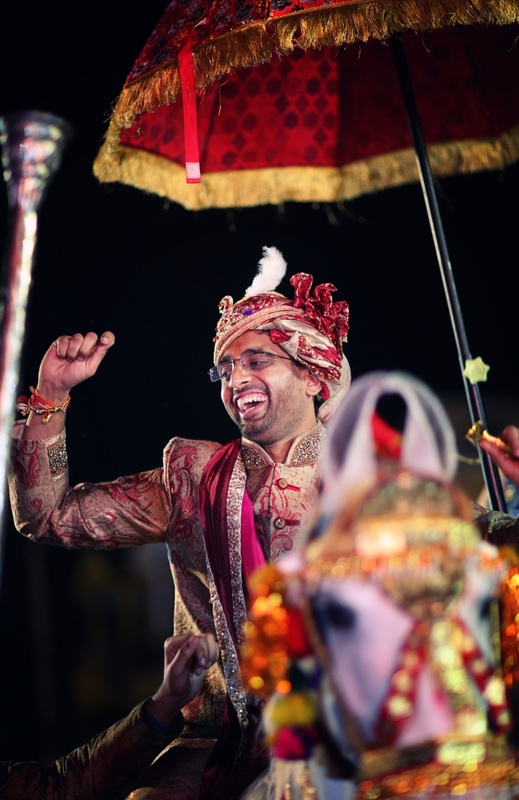 Aditya and his entourage entered the wedding venue showing off their best moves at the baraat ceremony. 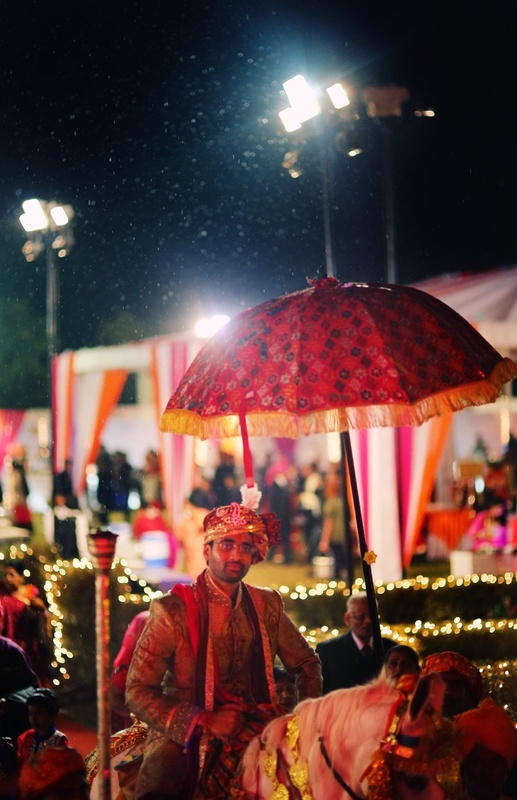 His traditional textured maroon and gold sherwani was paired with a matching crushed dupatta and a wedding safa. 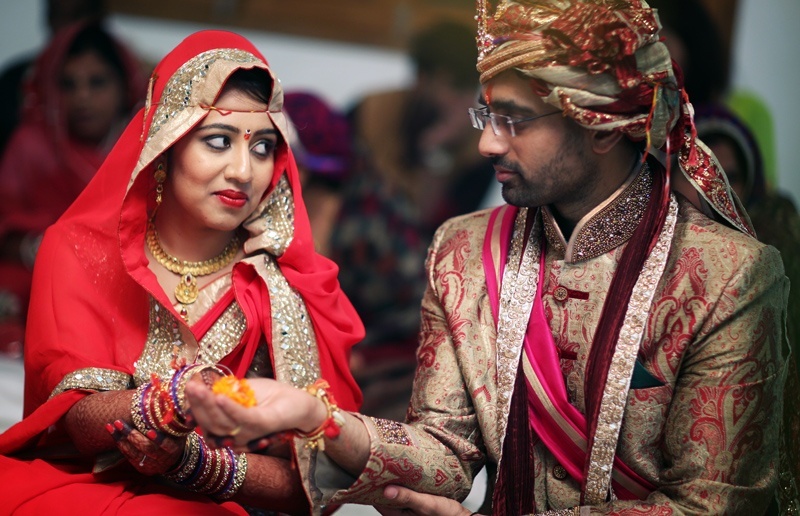 The couple took their saat pheras in a florally decorated vedi mandap with strings of marigold flowers suspended from the top. 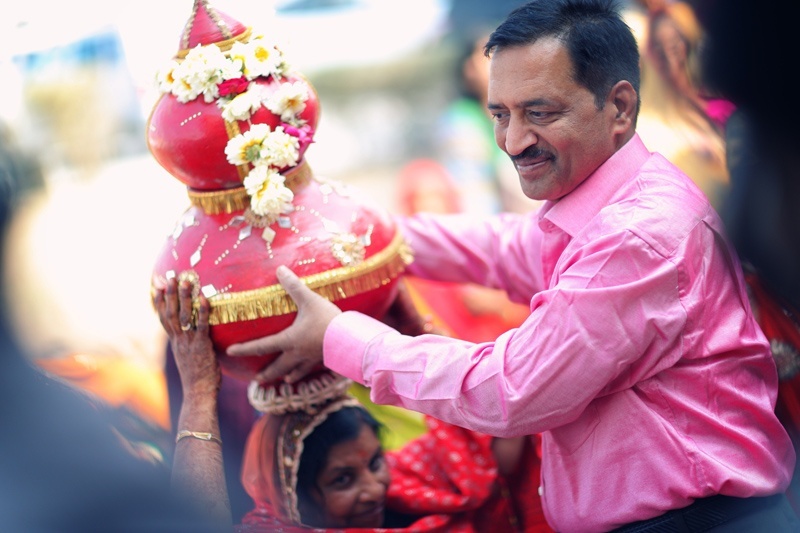 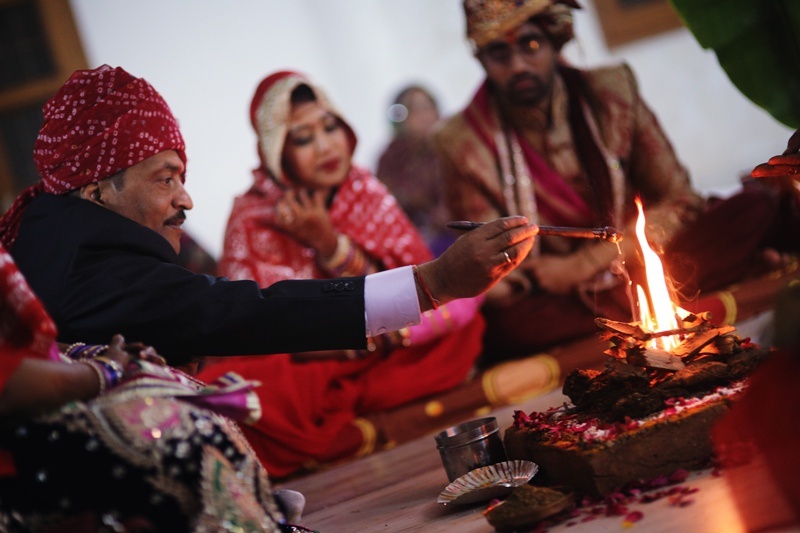 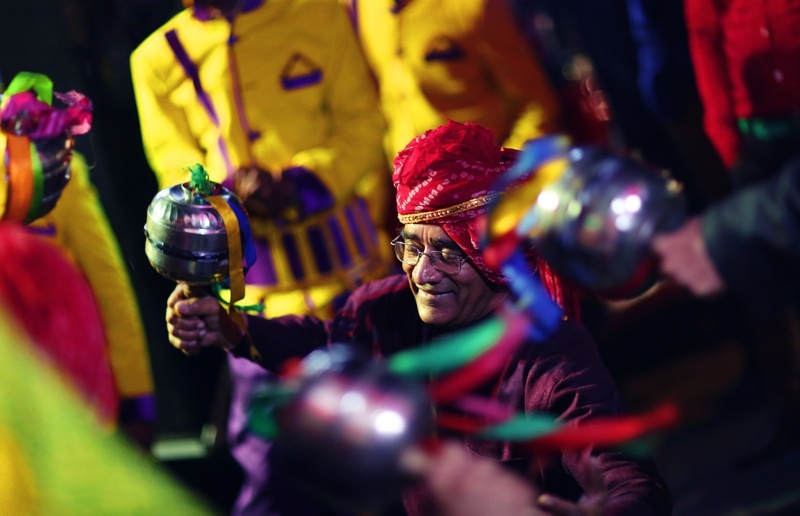 The highlight of this wedding was the Varmala ceremony! 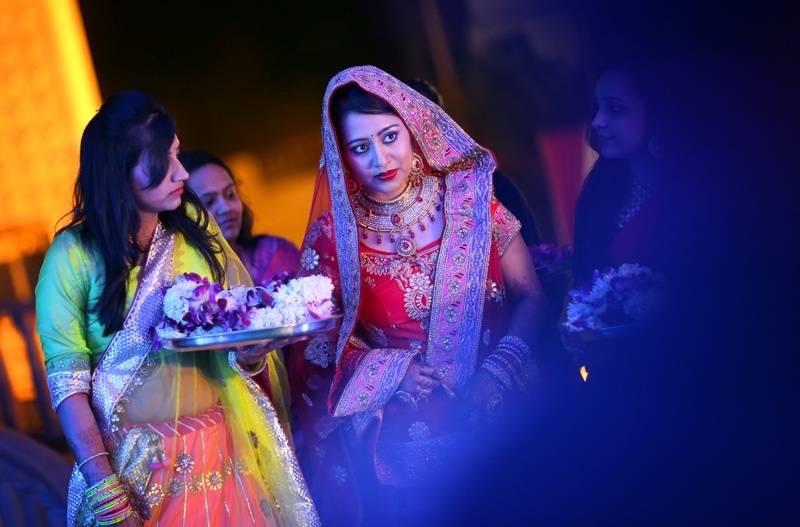 The bride and groom were lifted high in the air, making it thrilling experience for them as they struggled to string the varmala on to each other. 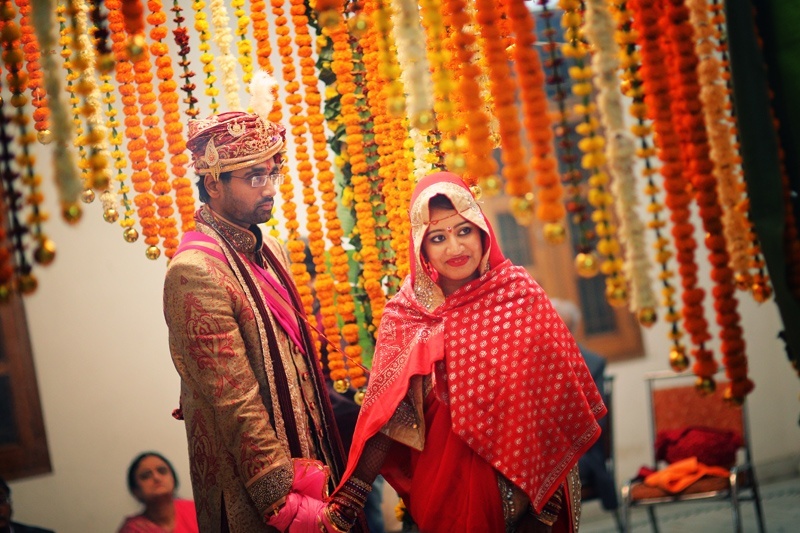 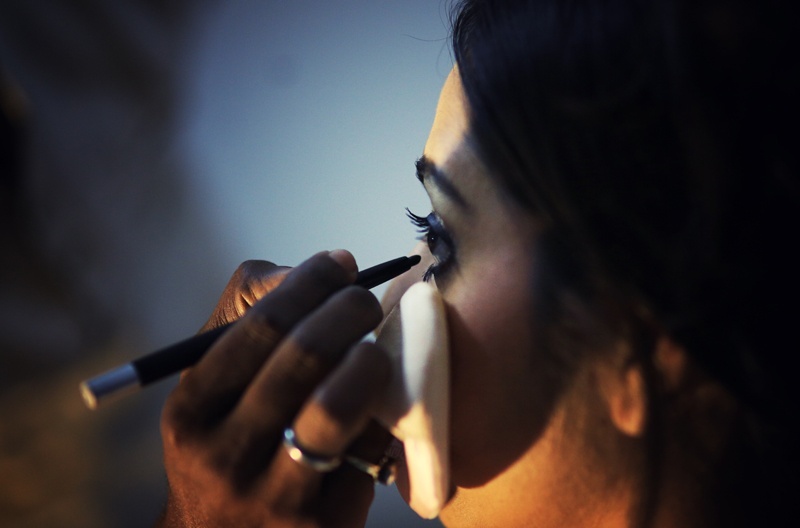 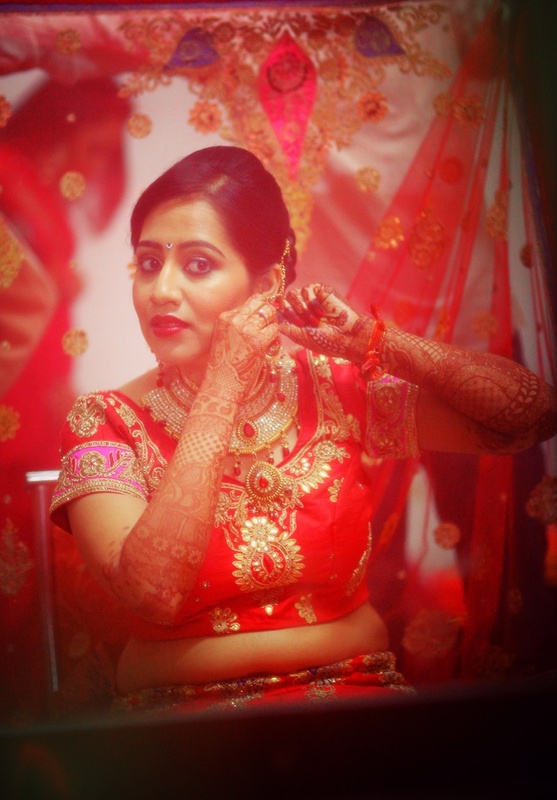 Their amazing wedding photography was done by Sandeep from Creativeye! 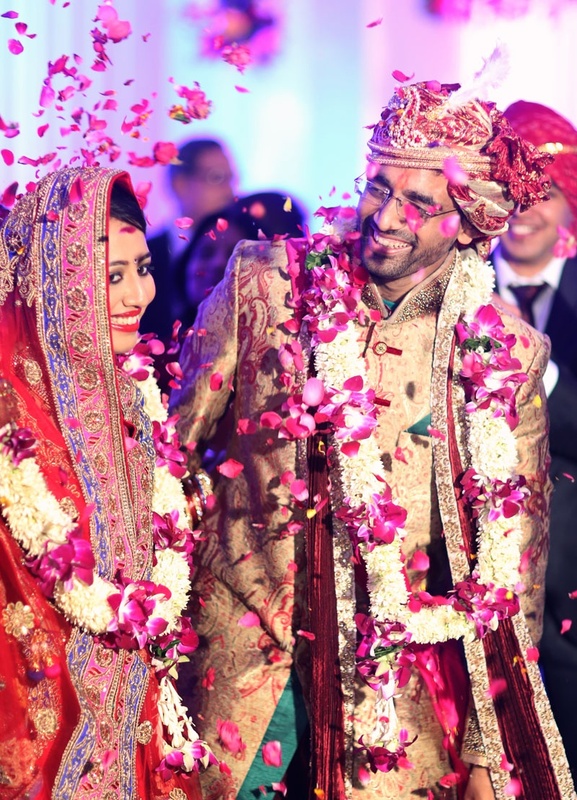 Here are some beautiful moments from their wedding day.